Home / What’s the Buzz About? 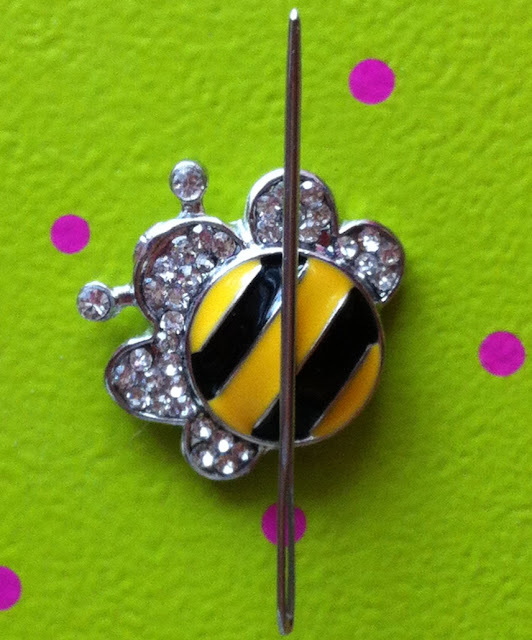 We just had to have the cutest ever scissor fob and magnet just in time for the holidays! Magnets are $13 each all pretty with enamel and crystals. 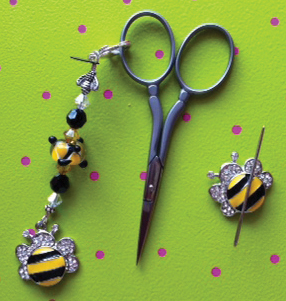 Scissor fobs are $44.00 each with the same flashy bumble bee. These are exclusively ours so when you look at them we hope you will remember fun times at Bedecked and Beadazzled. « Previous: Can we bottle her?